Which song reminds あなた the most of The Doctor and Rose? In the episode "Doomsday" what do あなた think "The Doctor" was going to say to Rose just before he disapeared? Rose has been from South ロンドン to the end of the world... and beyond. We thought she was stuck in another universe. But how is she no longer trapped? Why is she searching for the Doctor? And what is coming from across the stars? 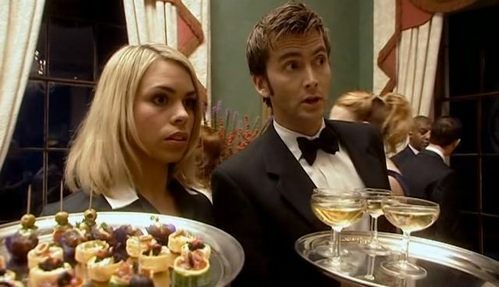 In "Rise of the Cybermen" what was the name of server that Rose was jealous of?